When recording your podcast, use the voice of the individual asking the question whenever possible. Natural sound is always better than a story recreated by the host. 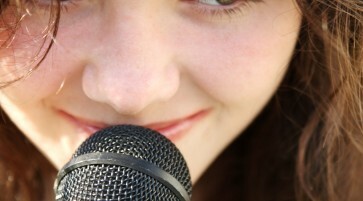 The additional voices will give your podcast an element of show biz. It will add depth to the sound of the show. Your podcast will also sound much more engaging. There are various ways to include others in your show. You can field questions from your audience in many ways. You could answer e-mail like Justin Lukasavige does on “Coach Radio”. Listeners could leave you voicemail to include in your show similar to “The Art of Podcasting”. You could take live phone calls similar to Dave Ramsey on “The Dave Ramsey Show”. Guests could also join your show live in the studio as happens on “The Adam Carolla Show”. Each version is a little stronger than the previous. The second voice makes the show much more personable. It allows the listener to feel that they are part of the conversation. The additional voice also adds credibility to the question. Your listener will hear the authenticity in the question or comment. Other voices bring a depth to the show. This is the reason radio stations use callers on the air. It may not always be possible to include that audio. However, if you can swing it, your show will definitely gain that showbiz quality when using multiple voices. Use the voice of the individual asking the question whenever possible. Natural is better.